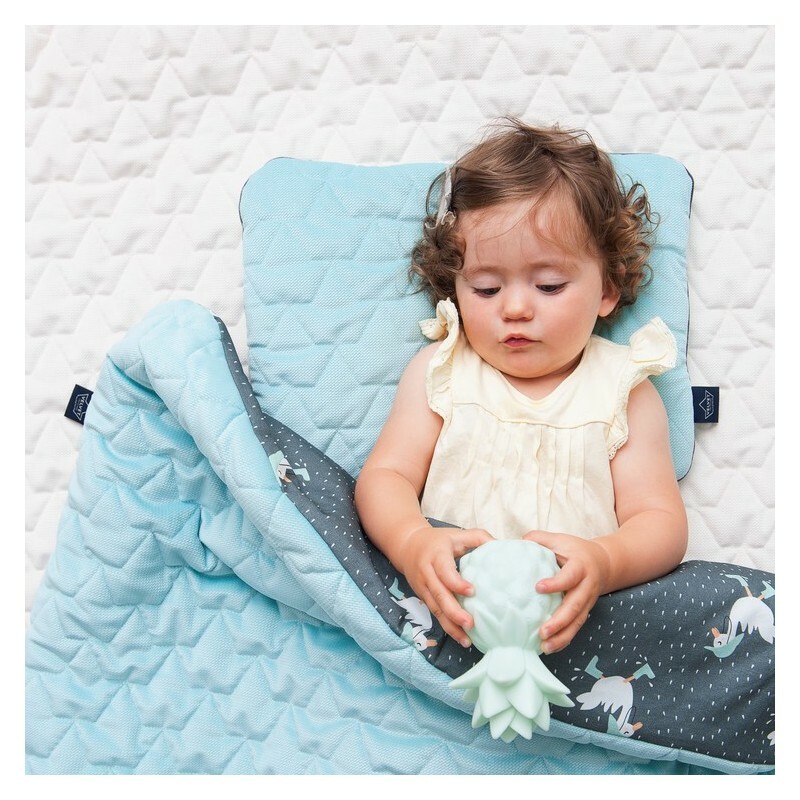 The luxury bamboo wrap-me-up blanket is made from 100% bamboo viscose which dries quicker and stays fresher longer. 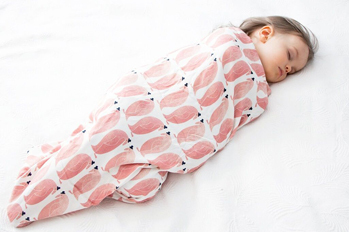 Bamboo adjusts to body temperature, keeps baby warm and comfortable during cold weather and cool and dry in warmer weather. 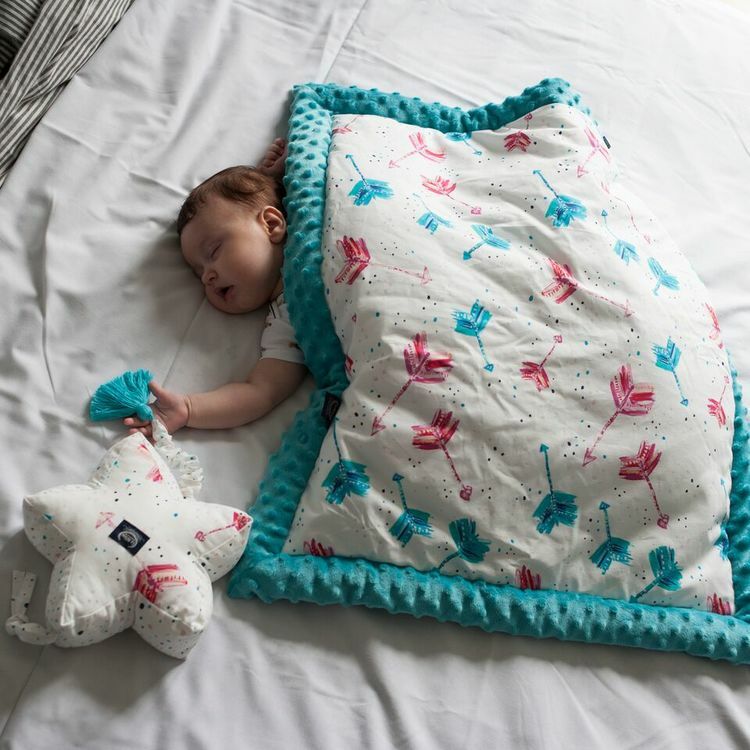 It is naturally hypoallergenic, making it perfect for people with sensitive skin and allergy sufferers. 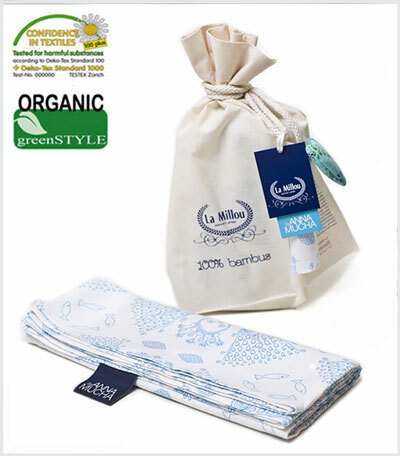 Due to the unique properties of bamboo, the “Mist” by La Millou has a wide range of applications: as a baby wrap or swaddle, blanket, bedsheet, sun protection. It's packed in a linen ecological bag with a heart hanger, which it makes a perfect gift. Antibacterial - contains an anti-bacterial agent, discouraging the formation of bacteria (4 times better that cotton). Antifungal - bamboo can resist all kind of fungus. 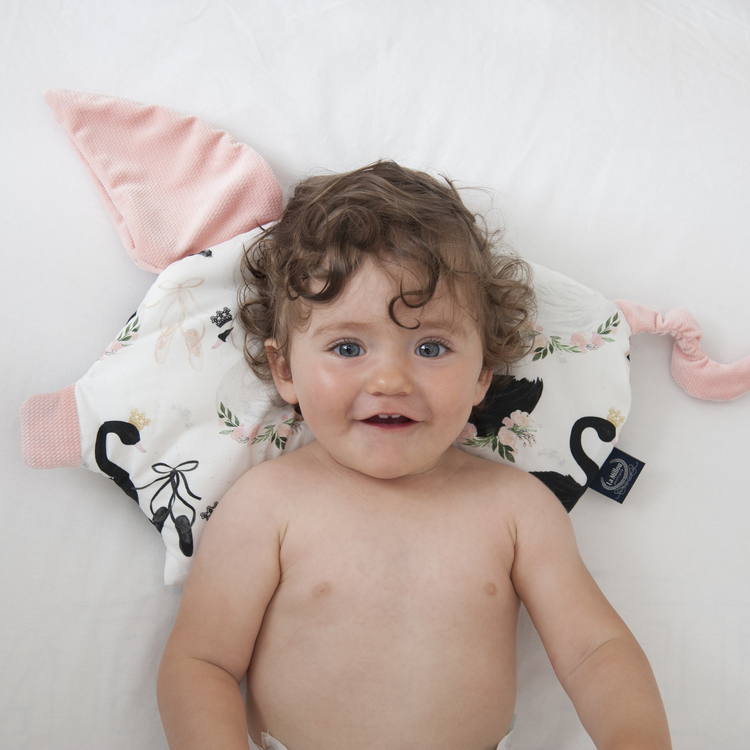 Hypoallergenic - perfect for those with allergies and chemical sensitivities ( 3 times better than cotton). Breathable - has much better ventilation than a cotton (30% better than cotton ). Thermo-regulating - keeps you cool in summer and warm in winter. 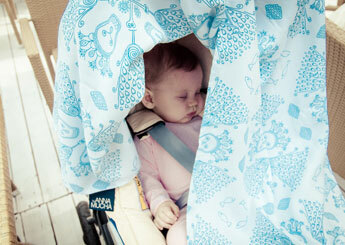 UV resistant - protects the baby against the sun's harmful rays. Water absorbent - has 60% more moisture absorption than cotton. 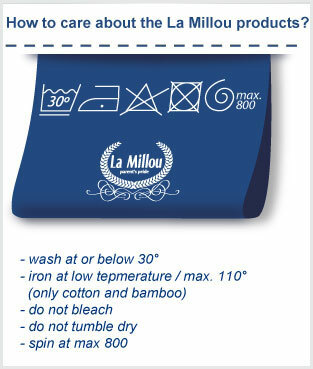 Luxuriously soft - bamboo's compared to very fine silk and cashmere (50% better than cotton). Biodegradable - so we can help look after our planet ( 70% better than cotton). The fabric is printed with environmentally friendly, water-based dyes, proved by the OEKO-TEX Standard 100 certificate. Exceptional advantages of bamboo fabrics are confirmed by research conducted by Passage Cosmetics Laboratory, Padmed’s laboratory and Polish Mother and Child Institute (IMD).